It’s not news – cash flow problems kill off startups right and left. They almost killed off ours. Back in 2014, just before co-founding my startup with my partner Eddie Arrieta, I completed an application for a pre-Stripe era payment processor, estimating that we’d need to process up to $1000/day. One TechCrunch feature later and our small team was welcoming more and more new clients, relishing the taste of success and congrats from friends, and looking to more than double in size. A call from said payment processor informed us that we’d surpassed our $1000/day limit. And given they were liable for refunds during the initial 6-month period, they couldn’t disburse to us the funds processed until after these 6 months passed. In short, our burgeoning business couldn’t make payroll. From the outside it looked like we were a success story, however internally it wouldn’t be long until we’d run out of cash. As we brought in new clients, our efforts to speak to our payment processor fell through. We, fortunately, got by with help from a good friend. However, these anecdotes abound – of the 500,000 new small businesses beginning operations in the US each month, around half close shop by the fifth year. And according to a study by US Bank, they fail 82 percent of the time due to a lack of necessary capital for executing their business plans. Luckily, these days there are more options for startups seeking access to capital. While traditional lenders have minimum monthly revenue and business age requirements, here are some alternatives to consider for young cash-strapped companies. An ever-growing percentage of startups are using Stripe and other payment gateways to process payments from customers. And one viable route to accessing capital is taken out loans through the payment processor themself. Pioneers in this type of loan option, PayPal currently offers business owners PayPal Working Capital business loans. If you use Paypal as your payment processor and have a strong history of PayPal sales, you can qualify for as much as 30 percent of your annual sales, up to $97,000 for the first loan. Applying for and receiving funds in minutes is possible, and you’ll choose a percentage that PayPal will automatically deduct from your merchant account each time a sale is processed. PayPal will also charge a one-time fee based on the repayment percentage you choose and your PayPal sales history. From the look of things, fast-growing payments startup Stripe may seek to borrow and build on PayPal’s concept. It appears the company is testing a new cash advance service for merchants, allowing sellers to access loans that are repaid through a deducted percentage of online daily sales. For startups needing cash quick, payment processors can offer very fast access to funds. However, the fees charged – in PayPal’s case, between $0.01 and $0.58 for every dollar borrowed – can at times prove too costly for some growing companies. Financing your startup through online alternative lenders is also growing more and more common. Companies like OnDeck Capital and Kabbage offer short-term loans and lines of credit that are accessible in as little as 24 hours, and as long as a few business days. These loans are more similar to traditional business loans in that they don’t draw repayment from your sales, but rather set a payment schedule. They’ll also lend more – up to $250,000. Kabbage stands out for being one of the few short-term funding options that offers automatic monthly repayments, instead of daily or weekly. The downside is that they front-load interest rates to the initial 2 or 4 months of your 6- or 1-year loan term, respectively. The line of credit, at between 1.5-10 percent interest during the initial period, can be a relatively expensive option. Presenting a few months after our launch at TNW Conference, a conference I highly recommend. OnDeck offers loan terms from 3-24 months, with interest rates that can be quite costly to those qualifying for a higher APR – from 8.5-79 percent. Still, loans come with a prepayment discount that make them advantageous for businesses certain they can pay off the loan early. OnDeck will forgive 25 percent of the remaining interest due if the loan is paid off early. For startups unable to qualify for government-backed SBA loans, medium-term loans, or longer-term lines of credit, these alternative lenders can offer the working capital necessary to survive those turbulent first years. At the very same time, these loans can also have costly interest rates that prove unmanageable. With the era of digital currencies upon us, the total market capitalization of cryptocurrencies reached above $800 billion last year. And with more and more founders maintaining assets in the form of digital currencies, one of the more novel loan options to arise in recent years are crypto lending platforms. A handful of these platforms have appeared, allowing companies a way to borrow against any crypto assets they own. Instead of having to sell your Bitcoin, Ethereum, or XRP to access capital, startup companies can now deposit them to platforms like Nexo, using them as collateral for loans underwritten through smart contracts. Nexo offers loan amounts from $1,000 to $2,000,000. And the standard 16 percent APR can be reduced to 8 percent if the borrower deposits Nexo’s own proprietary tokens as collateral. Such services look set to grow in popularity, allowing companies an excellent way of unlocking the value of their crypto holdings. Other cryptocurrency lending platforms include Bitfinex and BitBond. The chief drawback is that access to these loans is, obviously, dependent upon a startup’s having crypto assets to use for collateral. Cryptocurrencies do also have other risks. I remember meeting investor Jered Kenna, an entrepreneur so early in Bitcoin that he would plug-in and only see four other computers in the network. According to a Forbes article, two years ago several million dollars worth of Bitcoin were stolen from his encrypted hard drive. Of course, there are advantages and disadvantages inherent to each lending option. Fortunately though, more and more innovative borrowing opportunities are opening up to startups, allowing them to shop around for the right option. One thing won’t change though, which is that cash flow remains hard, and never more so than with hardware companies. Maneesh Sethi, who’d founded Pavlok and was a contestant on ABC’s Sharktank, told me over lunch about a friend whose product was accepted into Walmart. It sold so well that the company went bankrupt after six months due to a requirement to pay his supplier upfront. Another founder, AardvarkCompare’s Jonathan Breeze, started earlier an airline in Europe and said they, like startups, needed to have more cash to lose than all the other successful airlines. 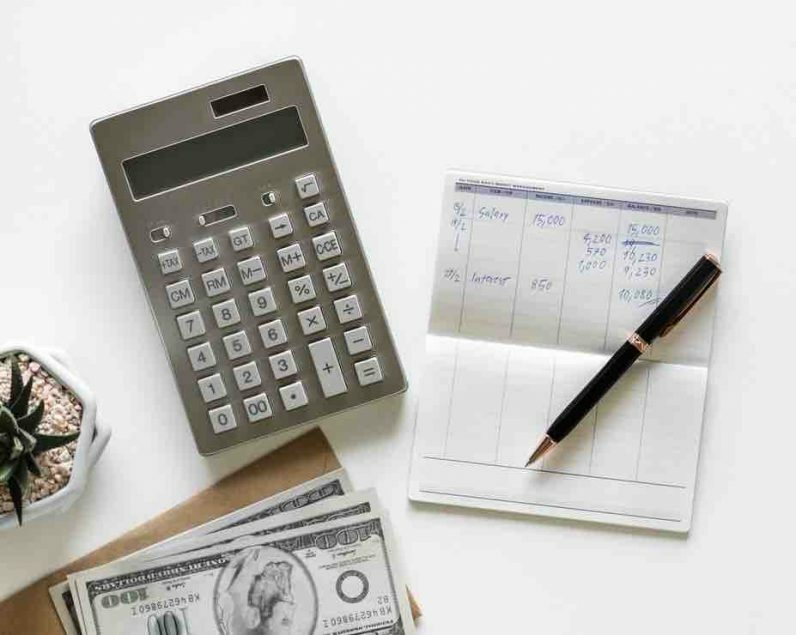 As a startup founder, you’ll have to consider carefully everything from a loan’s interest rate and repayment terms to its turnaround time, term lengths, application criteria, and collateral requirements. Irregardless of the path, doing your homework well may be the key to keeping your startups’ doors open. This article was Co-Authored by Peter Andringa.